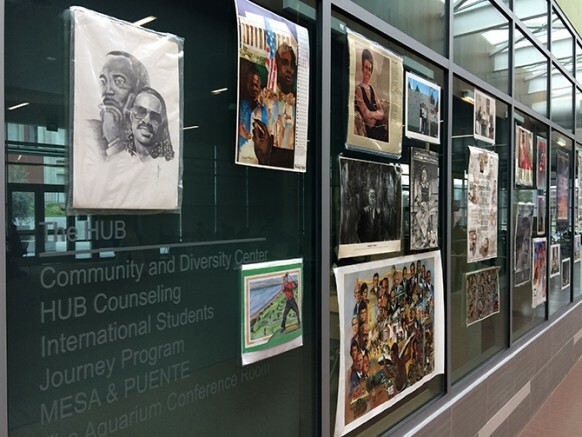 On Thursday Feb. 22, ARC’s Community and Diversity Center, UNITE, will host its second annual Black History 101 Mobile Museum in The HUB, which is located in the Student Center from 10 a.m. to 2 p.m. This year the theme will be centered around the year of 1968. There will be featured artifacts ranging from slavery, Jim Crow, Civil Rights Movement, along with many other pieces. “You get to see physical, tangible objects that represent black history, right in front of you,” said UNITE’s community intern, James Le. According to Unite’s press release, the pieces that will be featured in this museum, are collected artifacts from the curator and founder of the museum, Khalid el-Hakim. “Professor El-Hakim has done this mobile museum all across America, from the East Coast all the way to the West Coast, and back and forth,” Le said. El-Hakim will give a lecture at noon on Feb. 22, informing others on his choice for this years theme, in addition to his journey collecting over 7,000 artifacts. Be the first to comment on "UNITE to host Mobile Black History Museum"